At the 39th year Art Festival, Kartik Fine Arts will confer the prestigious Isai Peroli and Nadanamamani awards on singer Nisha P Rajagopal and dancer Uma Nambudripad this year. The award Tamil Isai Vendhar will be presented to senior vocalist K J Yesudoss. 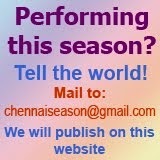 Young singer Subhiksha Rangarajan will receive the award Isai Chudar and another young dancer will receive V Soundarya. Y Prabhu, secretary, Sri Krishna Gana Sabha will receive the Kartik Rajagopal Golden Jubilee Committee award for 'Best Cultural Organiser'. D.K.Pattammal Award of Excellence instituted by Nithyasri Mahadevan will be presented to vocalist Vasudha Ravi. Nattarasankottai M.A.Krishnan, Natya Sangeetha artiste will recieve Dr. Seerkazhi Govindarajan Memorial Award instituted by Dr. Seerkazhi G. Sivachidambaram. 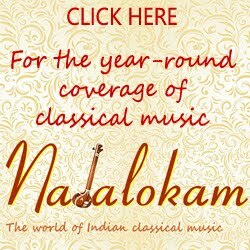 Guru Karaikudi Mani Award instituted by Guru Karaikudi R.Mani will go to mridangam vidwan V.Rajasekar. The awards will be presented on the inaugural day of Kartik Fine Arts music festival, Dec. 1, 2013.